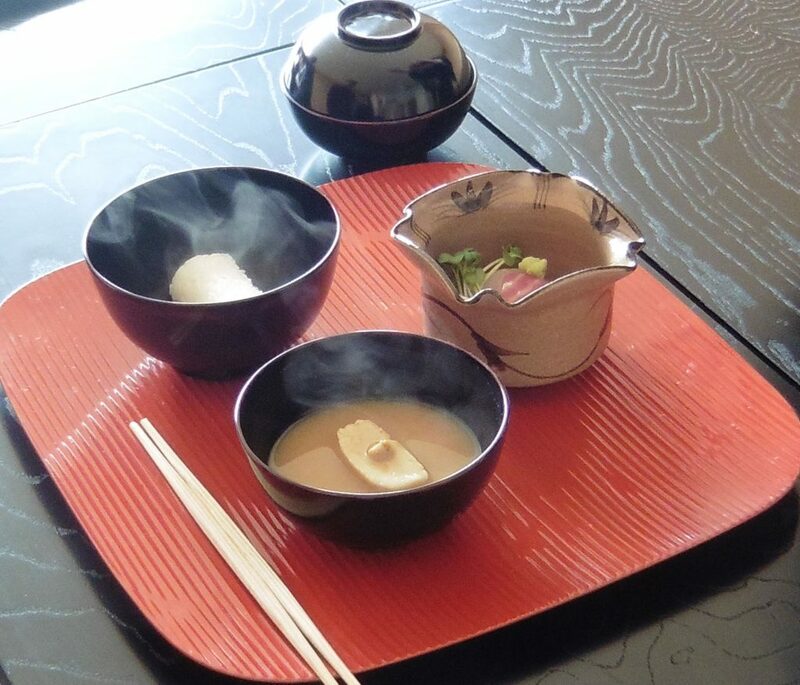 Home » All Posts » Cha-kaiseki course starts with dishes that warm up your heart as well as your body. Cha-kaiseki course starts with dishes that warm up your heart as well as your body. The soup reflects the season by adjusting the amount of miso paste and the kind of ingredients used. In addition, a stewed dish and the main dish (grilled dish) will be served. Please enjoy the tea ceremony that follows the meal.